HamStudy.org Blog | Don't just practice for your ham radio license exam — study! Along with some major updates to the app — including google and facebook login support, study sessions (which let you “start over” without losing all your data), a new “dark mode” for night-time studying, and configurable font size — we will be selling the mobile app for 50% off! That’s $1.99 — guaranteed you won’t find a better deal for ham radio study materials on the net than that. In addition, our sponsor Signal Stuff will be holding its annual sale (on the same days) with 25% off of all Super-Elastic Signal Stick antennas! All antenna sales support development and advertising of HamStudy.org. Order one here. This just in — Signal Stuff has released improved Signal Sticks which are 36% thicker and less floppy! The old ones work great, though, and they are clearing out the old stock of SMA-F antennas for $15 each. Get ’em now! (choose “dual band”, “SMA-F”, and “1st Gen” to get the $15 clearance version). 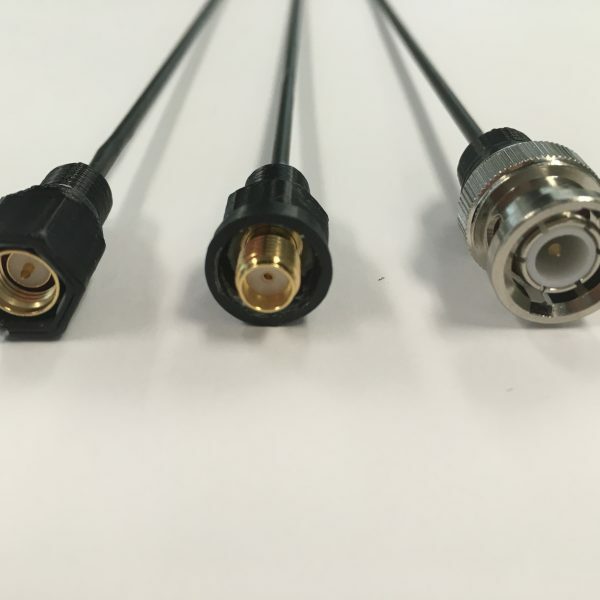 All orders going forward will get the new and improved thicker wire antennas! It’s been a long road, but after almost two and a half long years of work, the next generation of HamStudy.org is finally here! That’s right, we just released the new mobile apps that so many people have been asking for — and they don’t require an internet connection! Now, first the bad news: some of you will be disappointed to hear that these apps are not free. They are, in fact, $3.99. That’s a one-time cost — it’s not a subscription, you don’t have to pay that for each question pool, and yes you can let your whole family use it if you all share a mobile store account, but it does have a cost. Let’s put it simply: If you want to study without being connected to the internet then you will need to buy the $3.99 mobile app. 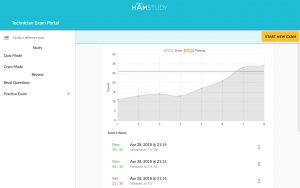 If you *don’t* need that, and you don’t want to buy the mobile app, then you will always be able to use https://hamstudy.org for free — and yes, it works just fine in your mobile web browser. One more time: The mobile app costs, but using the mobile website (still on mobile, but with an internet connection!) will always be free. This was a hard decision, but it comes down to needing to justify spending the time on this project that it deserves — we all have wives and children who put up with our little crusade. At the same time, both HamStudy.org and our parent company Signal Stuff were founded on the obsession goal of changing and improving the way that people in the US study for and take amateur radio license exams; we don’t accomplish that by gouging all of our customers. The best part for all of us (users and developers) is that more funding for the project means more flexibility in what we can do! We have a ton of exciting ideas and this will make it possible for us to get them in. Look for exciting things coming up! For now we have iOS and Android apps; eventually we will be releasing desktop versions as well, but we might have to catch up on some chores around home first. We will also be updating the website with all of the features (for free!) that we have in the apps. You can always find the latest versions at https://hamstudy.org/appstore. 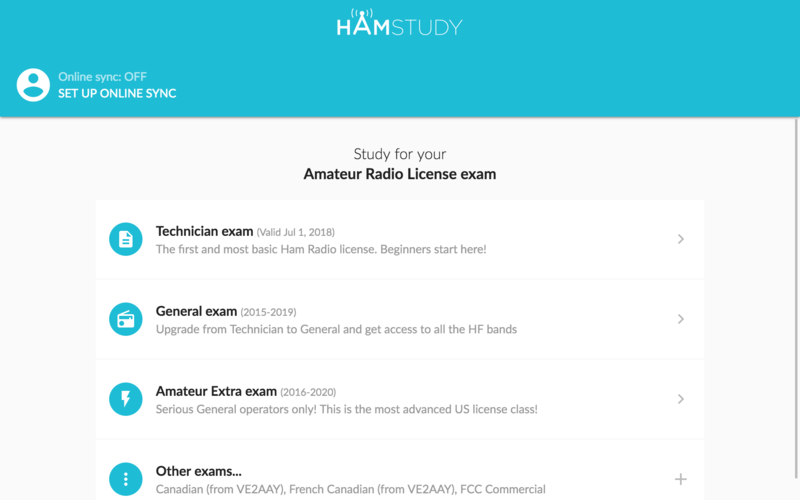 We’ve long had the capability, but we haven’t made a big deal about it: Did you know that you can list your ham radio license exam session on hamstudy.org? You can search by zip code or “find near me”. With more VE teams asking us about it recently, I thought I’d answer a few questions here. If you want to list your exam session, first you need a hamstudy.org login — register for an account and make sure that the call sign on your user account is the one you want your exam session listed under. Then, once you have a username, submit a request on our ExamTools support portal. Make sure you provide your username, we’ll try to get you access within 24 hours. Edit: Please do not send us a list of sessions to add; we don’t have time to maintain the list ourselves. Instead, follow the instructions above and we’ll give you access so you can keep your schedule up to date yourself! Simply put, you log into examtools.org, go to the “sessions” tab, and add your session! Once you have the first one entered you can duplicate it for the next ones to save yourself time; make sure that the address autocompletes correctly and displays the map. Keeping track of exam schedules is a difficult thing, and it’s a problem that has been solved on a local level over and over again; we are hoping to provide an online database that can replace all of those. To that end, this is not intended to be only usable on our website. Assuming there is interest, we intend to create both AJAX endpoints and embeddable widgets that you can use to query for upcoming exam sessions in your area and embed it into your existing website. What pays for all of this? For those who don’t know, HamStudy.org is owned and funded by Signal Stuff. We would also be remiss if we did not acknowledge the support and sponsorship of Icom America. Specifically, most of our funding comes from the sales of the Signal Stuff Super-Elastic Signal Sticks (believe it or not). If you like what we’re doing, consider trying one out the next time you need a good whip antenna for your handheld transceiver! 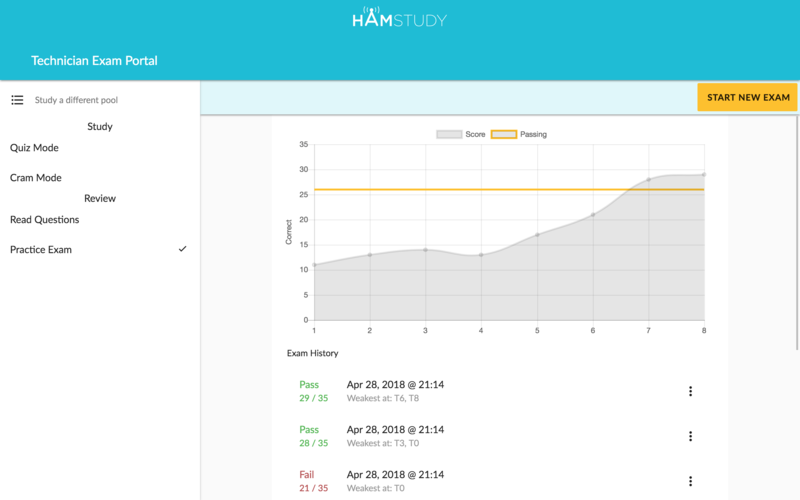 The more of you list your exam sessions on HamStudy.org the more helpful and successful this will be! It’s that time again! The new Element 2 question pool has been released by the NCVEC as of Jan 8 and the first errata was posted this morning, Jan 12, 2018. From past experience it’s likely that there will be additional revisions, but it’s uncommon to have major changes at this point. So, let’s take a quick look at some of the high points of what has changed! For those who want to follow along at home, HamStudy.org has a full graphical diff that you can look at! As you can see, the pool size hasn’t changed much; there are two fewer questions in the new pool compared to the old. One thing that the numbers don’t show is that a number of the “removed” and “new” questions are direct replacements which served to check the same knowledge as the previous question but were just different enough to not be considered the same question (for example the old T1D11 and new T1D06; nonetheless, there are some definite updates intended to help “modernize” the questions in the pool. Several general definitions were removed, including the definitions of telemetry, telecommand, an amateur station, harmful interference, and the purpose of amateur radio. The new T1A04 makes me wonder what prompted it: it clarifies that an individual can only have one license. Subelement T2 stayed pretty much the same size; 10 questions were removed and 11 added. The 70cm calling frequency question was replaced with a 2m calling frequency question. Yay! Most of the changes were in T2B; 5 questions were removed (relating to squelch, deviation, andmodulation) and replaced with 8 new questions which seem a bit more directly relevant to things a Technician license holder might be doing, such as “reverse split”, IRLP control, linked repeaters, bandplans, and — interestingly — use of digital repeaters. Most interestingly, the digital repeaters look to me to be mostly aimed at DMR — one question specifically mentions it and another refers to “talk groups”. Subelement T3 stayed almost the same. 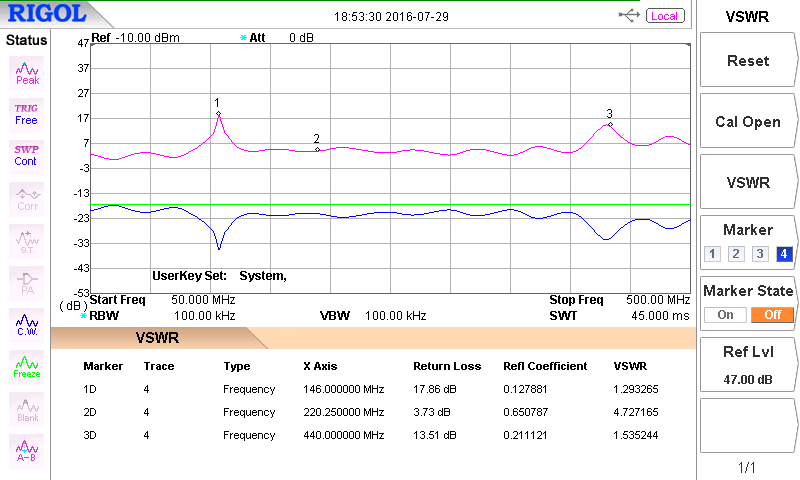 3 questions were removed and 4 added, all of them related to how specific frequencies are used. Subelement T4 changed only slightly more than T3 with 5 questions removed and 6 added. All of the removed questions were in T4A and related to PTT wiring, regulated power supply use, harmonic emissions, TNC, and alternator whine. Subelement T5 received a bit more love this time around; only 1 question was removed (and it was really replaced with a differently worded question) and 8 were added. The one question which was “removed” (T5C07) was replaced with a new T5C07 which is simply worded differently with the same meaning. Subelement T6 was nearly untouched with 3 questions removed and 2 added. Subelement T7 had 4 questions removed, 3 questions added. Nothing particularly stuck out to me about the changes here. Just incremental changes. Subelement T8 shows some concerted efforts focused on acknowledging the ongoing changes to digital modes. 8 questions have been removed, the subelement summary now has “and digital” tacked on, and all but one of the 11 new questions are directly related to some type of digital mode — and that one is about electronic keyers. The inclusion of FT8 seems almost like they are trying too hard to show that it’s “current”. There are some interestingly specific mentions in some of the new questions, such as Broadband-Hamnet(TM), DMR, FT8, WSJT, and Echolink. Granted, JT65 and IRLP have been in previous pools, though JT65 only as a distractor. Subelement T9 has the distinction of being the only subelement with no new questions added — though granted in the previous pool there were only 25 questions in T9. The old T9A02 and T9A13 questions were removed. Subelement T0 contains the only change in the pool which I really question the wisdom of; it has only a single question removed (and two added), but that question was T0A09: What kind of hazard is presented by a conventional 12-volt storage battery? Given the way I’ve seen some 12V systems — particularly with solar installs — put in place, I’d have preferred to see this question either stay or updated with a better but similarly-themed question. It does make me wonder why the question was removed — the question which replaced it does not seem to be all that different nor is the section already overloaded (there are only 11 questions in the section, which is about average for the pool). The other new question in T0 relates to tension guy line tunbuckle safety. So there you have it! We may still see some changes, but this is probably about what we’ll be going with starting July 1, 2018. On the whole, I like the changes — they seem aimed at being more relevant, more current, and in some cases more geared towards helping new hams be aware of what is possible with the higher license classes. Tell us in the comments what you think of the changes! From Friday, Nov 24 through Monday, Nov 27, 2017 our parent company Signal Stuff will be running a Black Friday sale with all antennas 25% off! All antenna sales support development and advertising of HamStudy.org. Order one here. In honor of this day our sponsor, Signal Stuff, is offering free shipping on all orders to anywhere from today (April 18) through Friday, April 21, 2017. This free shipping is valid for both HamStudy.org T-Shirts and Antennas. 73 to all and good studies! HamStudy.org is funded by SignalStuff.com. SignalStuff.com sells excellent superelastic flexible handheld antennas for $20 each with lifetime warranty. From Thursday, Nov 24 2016 through Monday, Nov 28 2016 those antennas will be 20% off. All antenna sales support development and advertising of HamStudy.org. Support our site! Buy antennas! You know you want to! Okay, okay. But seriously, they are great antennas and hand made by the HamStudy.org team and friends. HamStudy.org takes money to develop and run. Buy an awesomely lightweight and unbelievably durable (not to mention flexible) Signal Stuff SuperElastic Signal Stick and support yourselves and us! Signal Sticks are dual band 2m/70cm antennas for handheld transceivers which come with a lifetime guarantee and can be coiled up and stuck in your pocket. The new 2016 US Amateur Extra class license pool has been released and we’ve been working over the last week on processing it to link new questions with old so we know exactly what was added, removed, updated, or moved. This question pool will be used for all US Amateur Extra exams taken from July 1, 2016 to July 1, 2020. UPDATE: On Jan 22, 2016 the 2016 extra class question pool document was officially withdrawn but it was then officially re-released on Feb 6, 2016. The changes between the two were relatively minor and the withdrawal seems to have been more to reduce the email volume for things they already knew about. This article is still valid, and the new pool has been updated on HamStudy.org. From my analysis, I expect most people will consider the new pool to be more difficult than the previous ones, so if you’re on the fence trying to finish up getting ready I’d recommend testing before the pool changes in July. If you want to see exactly what has changed, check out the full graphical diff. If you just want the summary, read on!